Paper for All focused on getting reading books and chalk as well as notebooks for the new academic year. 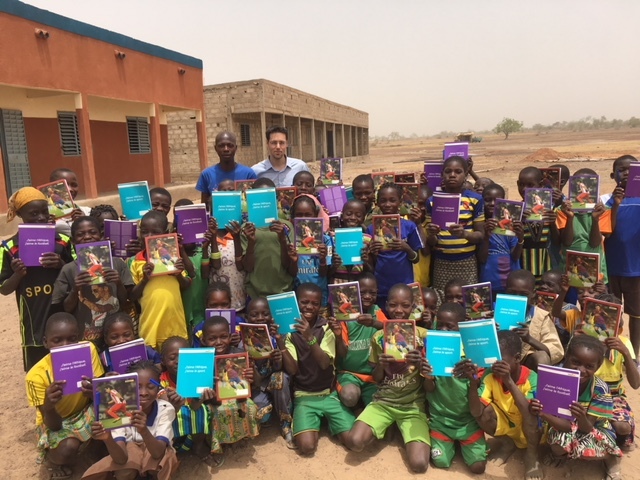 For this sixth action, Paper for All was helped by volunteers from Canada who kindly contacted the organisation prior to their trip to Burkina Faso. Their significant contribution in terms of academic resources and efforts allowed a much greater impact. We wish to thank them for their help. 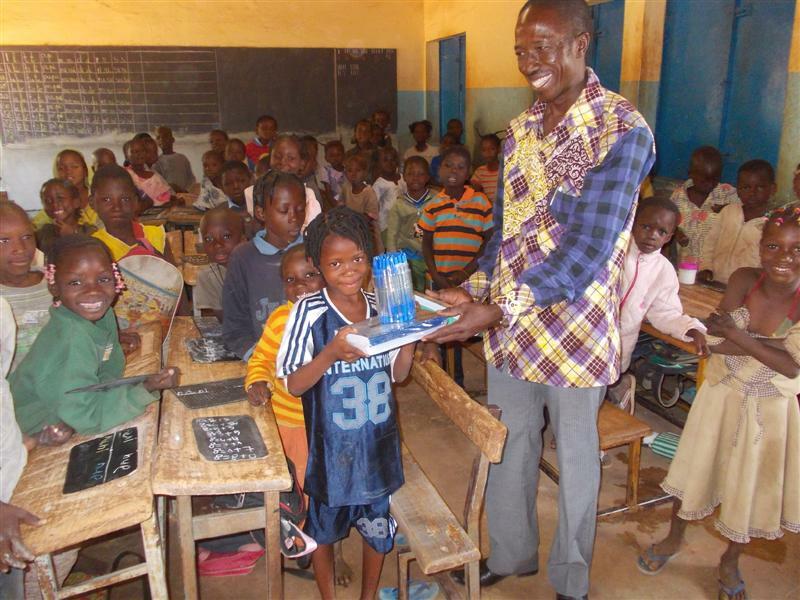 In addition, the government has this academic year decided to subsidize books in Burkina Faso and has distributed some books for free. The numbers are insufficient but it still resulted in a significant decrease in price for books sold by retailers, which allowed Paper for All to buy more books. Finally, the Papier pour Tous entity based in Burkina Faso could also fundraise and add to the funds available to buy the academic resources. - The focus on school reading books followed the indications given by the school professors. 20 reading books were bought for each of the age levels: CP, CE1, CE2, CM1, CM2 (age: 6 to 11). This was made possible thanks to the decrease in the price of books, the local Papier pour Tous fundraising and the volunteers’ help. - In addition, 150 notebooks and pens were distributed to the neediest children. These children were the ones the school directors, among whom Mrs. Coudialti, indicated most needed these academic resources. - In addition, chalk was bought as the professors did not have enough to teach in good conditions. The chalks were very much appreciated by the teachers for their lessons. 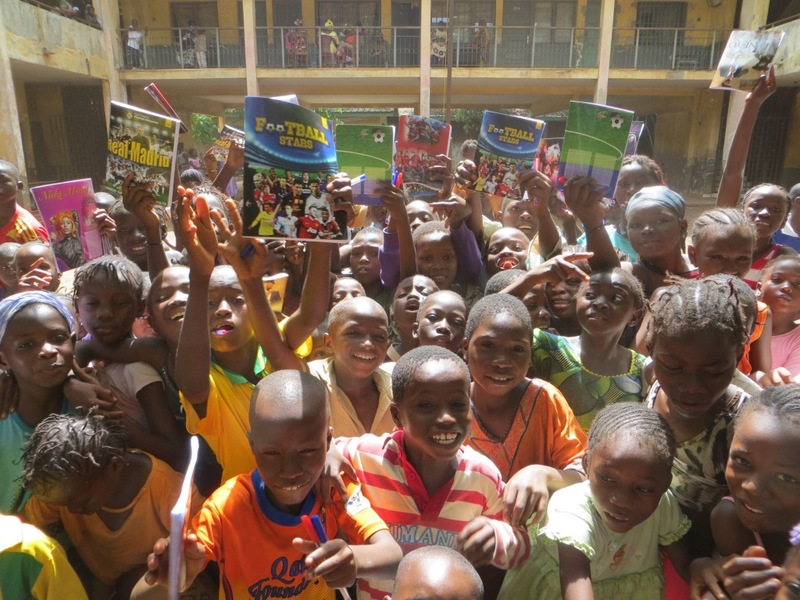 In addition, the feedback indicated that the reading books were greatly appreciated as they were badly needed. Pupils now not only have a couple of notebooks but also books, which will allow them to start reading in better conditions. We are making good progress in equiping the children equip with academic resources and must definitely continue to give them proper conditions for their education and development.